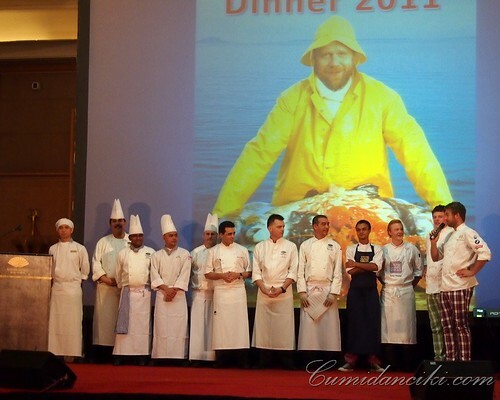 Every year, the Norwegian Embassy hosts the annual Norwegian seafood gala dinner at the Mandarin Oriental in Kuala Lumpur, and this year was no different. The main highlight of the evening was of course the Flying Culinary Circus, a well known team of Norwegian chefs, who put on quite a performance at the dinner. They mystified the crowd with their contraptions that smoked salmon on the spot, as well as employed Nitrogen to freeze sorbet at their work stations. 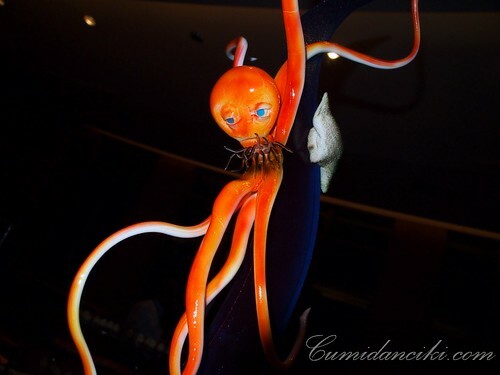 Women and men alike flocked over to watch their culinary acrobatics. This seafood dinner has become an annual highlight for the Norwegian business community in Kuala Lumpur. 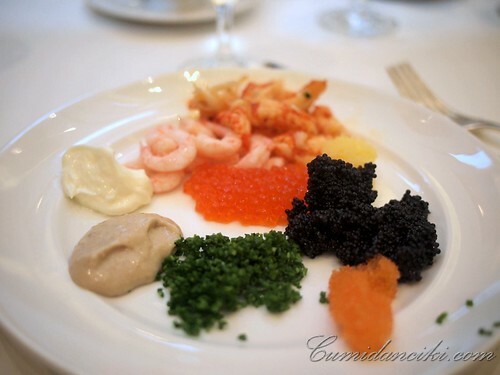 Most of the seafood served up that night is flown in, all the way from Norway and the spread is quiet a sight to behold. 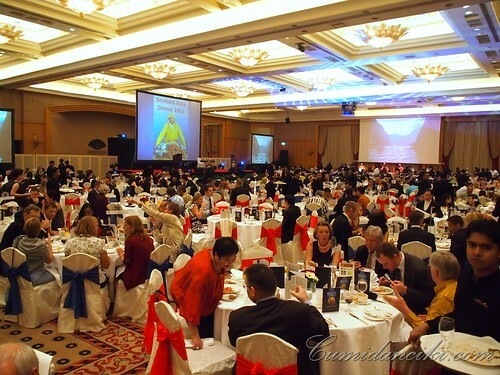 This gala dinner is held in conjunction with the Malaysian Norwegian Business Council (MNBC) Innovation Award, which is given to an outstanding member of the council that has contributed to increasing business and cross-cultural understanding between Norway and Malaysia. 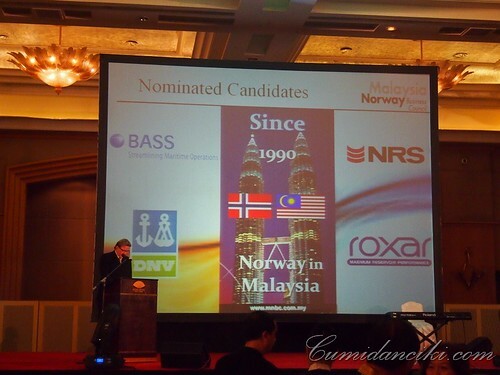 The MNBC was established in 1990 with the objective of stimulating business and trade between Norway and Malaysia. Today it has about 50 members. This is the fifth year the award is being given out. Competing this year for the MNBC award were, Norwegian companies BASS (marine management systems), Roxar (supplier of technology for oil and gas industry), NRS-Asia Sdn Bhd (bridge construction equipment) and Det Norse Veritas Malaysia (maritime risk management). The Five criteria used to judge the finalists include – sustainability, innovation, knowledge transfer, being a responsible company and governance/integrity. In the end, the award went to BASS! A big congratulations to them. 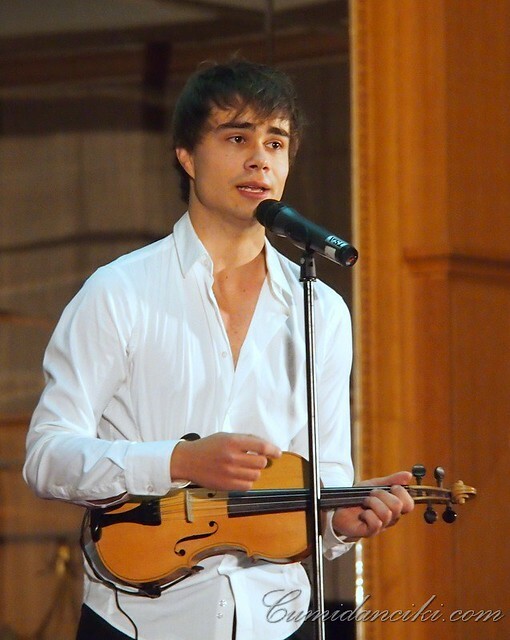 Finally, an amazing performance by young heart-throb, Norwegian violinist/singer, Alexander Rybak wow-ed the audience and had them up on their feet, thumping the tables and floors in rhythm to his catchy violin numbers. The song you hear in the video, is entitled “Fairytale” -This song was the winner of the 2009 Eurovision Song Contest in Moscow, Russia. Alexander reveals that this song’s inspiration came from the Huldra, a beautiful female creature from Scandinavian folklore, who lures young men to her, and then curses them for all time. The Russian language version of the song is entitled “Skazka”. Lights, Camera Action.. this is how we smoke it! And the award goes to… BASS!! Oh you were there … how’s the food in general? Fantastic food! it keeps getting better every year. 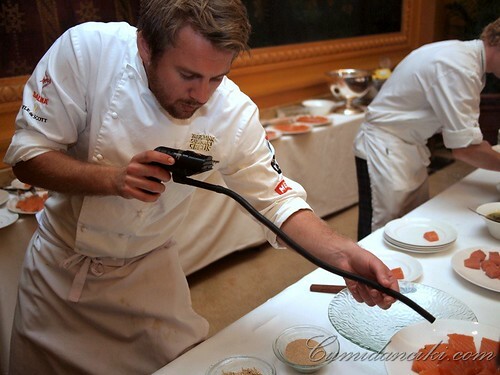 this year my favourites were the smoked salmon (live station), soup and the alaskan king crab! I agree.. which one do you like? Nice. Chefs so cute. Ooh la la! All this talk of hot Norwegian chefs. I wanna know why no pics of hot Norwegian babes?! beautiful people indeed! and you’re one of them! I do declare Norwegian Salmon is the best!!! 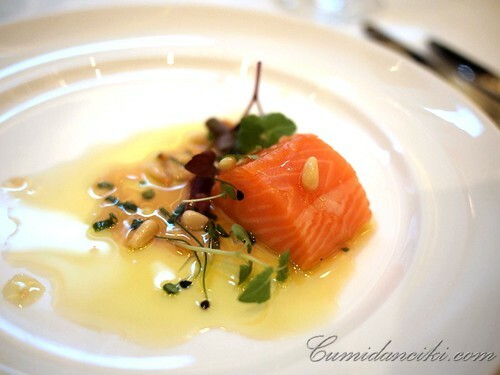 10 best Eats in Singapore by Camemberu ! 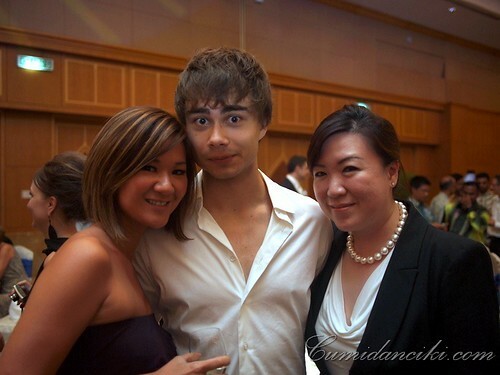 Today’s Blogger in the Spotlight (BITS) is Catherine of Camemberu and she lives in Singapore. She is an incredibly cool food-blogger and a friend…..